Measures Relative Humidity from 10% to 95% with a typical error of ±2%RH at 55% RH. Measures Ambient Temperature in the range of -40°C to +100°C with a typical error of ±0.75°C in the 0°C to 100°C range. 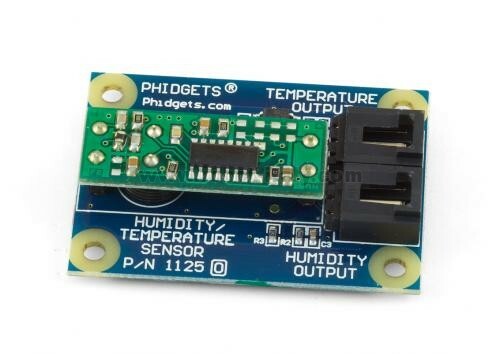 This sensor connects to an Analog Input on the PhidgetInterfaceKit 8/8/8 or the PhidgetTextLCD. 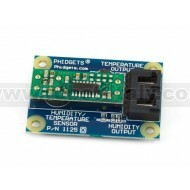 The RHT03 (also known by DHT-22) is a low cost humidity and temperature sensor with a single wire digital interface.